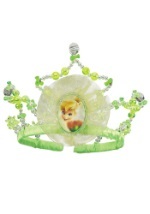 Add a little magic and make believe for a child's Halloween with this Tinkerbell Magic Wand. 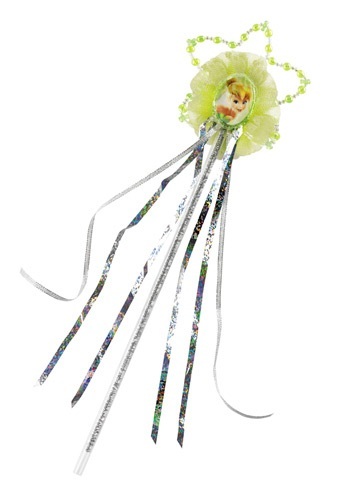 The glittering wand features the Tinkerbell cartoon character cameo as the centerpiece surrounded by bright green feathers, beaded wire, and ribbon. The clear plastic handle has silver glitter wire in the center. This wand is a real treat for the Disney fan and will complete any Tinkerbell, Fairy, or Princess child Costume.